Success is subjective and therefore the definition of success is a matter of perspective. Different people learn hatha yoga for different reasons. While many of us learn hatha yoga to stay healthy and fit, some learn it because they want to become a successful yoga trainer. To become successful you will need the right school, training and a teacher that can help you to imbibe the best knowledge and practices of hatha yoga. If you want to learn yoga right from the source you need to look for yoga teacher training in India. 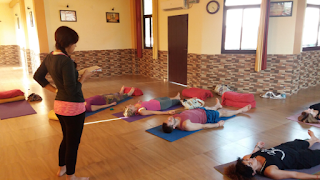 While you are searching for hatha yoga teacher training in India you might be overwhelmed by the number of schools you’ll find. Hence, you have to be clear about what you should look for when you are choosing yoga school. One of the most important things you need to look for is whether the courses offered are internationally recognized. A yoga teacher training course combined with a globally recognized certificate provides you a platform to start your yoga school anywhere in the world and adds value to your profile if you are keen to work as a yoga instructor or trainer. When you are looking for hatha yoga training in India you need to look for a school that offers the right curriculum. 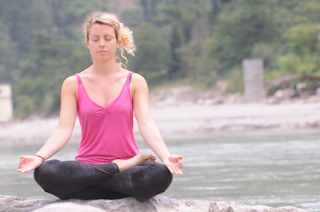 Kaivalya Yoga School provides yoga teacher training course in Rishikesh that transforms you into a competent yoga teacher by giving you a comprehensive understanding and knowledge of the ancient and authentic traditional yoga.